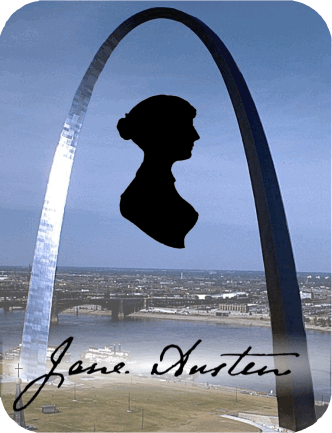 We are your Gateway to Jane Austen, not only for Metropolitan St. Louis and eastern Missouri, but central and southern Illinois as well. 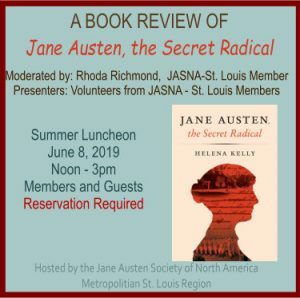 We welcome all and always look forward to seeing our JASNA-St. Louis Members. 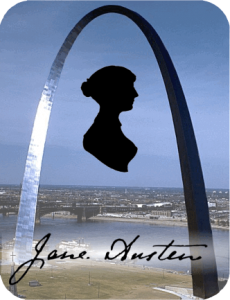 Our beloved members of the Jane Austen Society of North America, Metropolitan St. Louis Region have been celebrating the life and works of Jane Austen since 1980, when the first local meeting was convened with four in attendance. Since then our numbers have grown steadily. As always, there is the “company of clever, well-informed people, who have a great deal of conversation.”, at each of regional gatherings. Do consider attending one of our programs and enjoy our diversified programming.